Includes custom shape, 2-sided, 2-dimensional design. 3-D designs, QUR. 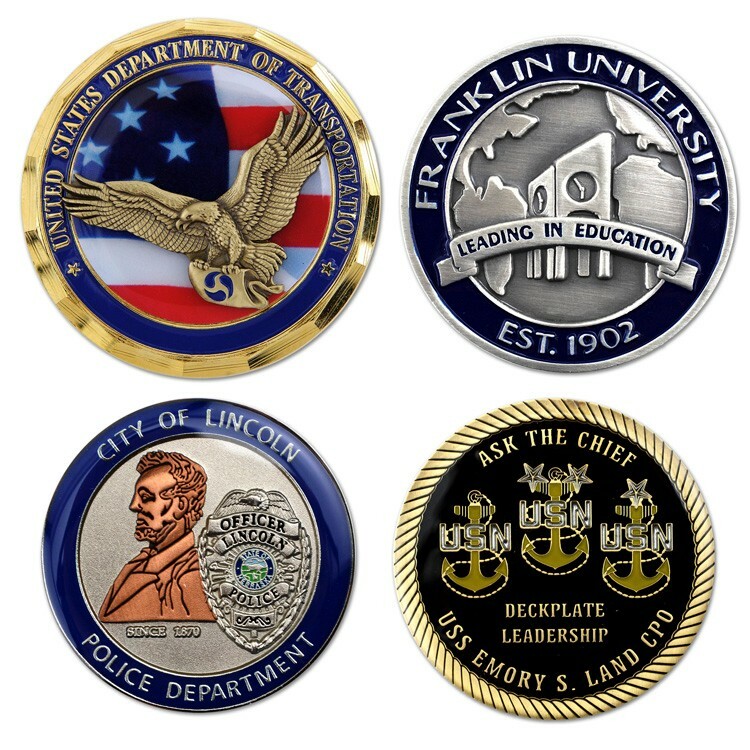 * Custom shape, one or two sided coin with 2-dimenstional designs. Sculptural 3D designs also available, QUR. * Tarnish resistant brass base material with your choice of gold tone brass, nickel, copper, antique nickel, antique brass or antique copper finish. * Gold, silver, antique silver and antique gold finish also available, quoted upon request. * Includes up to 4 Optional soft enamel colors. Resin enamel color fill also available. * Fast 3-4 week production. Call for pricing and information on 3-D die service charge.